With its intricate lace design, the Camilla White Wedding Dress showcases vintage-style beauty. It also makes a perfect evening or ball dress. 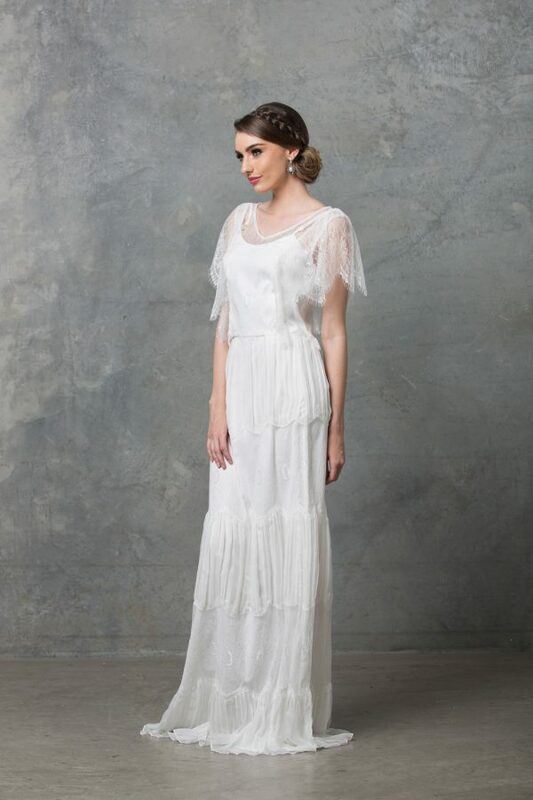 Encompass all things vintage and lace this wedding season in the Camilla White Wedding Dress. 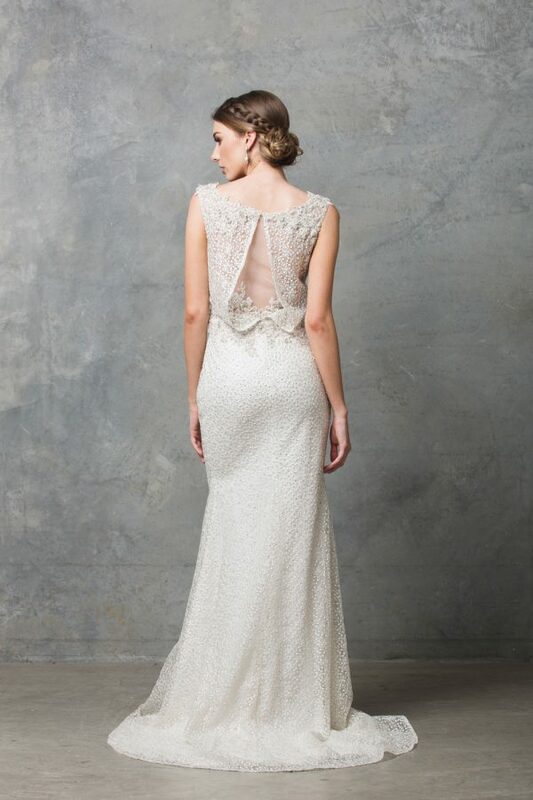 Designed for the romantic bride, the Camilla style features a high-cut sheer neckline, intricate cap sleeves, and a beautiful key-hole back design. The Camilla is an ultra flattering style for any silhouette, with cinching at the waist creating strong definition before falling to the floor in a georgette skirt. With lace caps sleeves and a gently flowing skirt you are sure to stun.